Northern Virginia Bureau Reporter David Culver talks with Kim Goldman, the sister of murder victim Ron Goldman. Twenty-three years after the O.J. Simpson trial, Ron Goldman’s sister Kim is advocating for compassionate treatment of victims and their families. On Wednesday, Kim Goldman spoke to a room of prosecutors and law enforcement officials in Northern Virginia. Goldman was invited to speak by Fauquier County Commonwealth’s Attorney Jim Fisher. “One of the best partners you can have is a victim who has been through it and who has the courage to stand up and speak and advocate for the victim who so often can get lost in the process,” Fisher said. 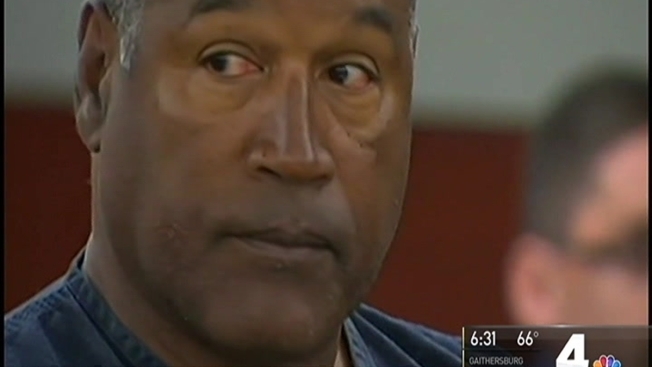 In 1994, Simpson was acquitted of killing his ex-wife Nicole Brown Simpson and Ron Goldman. Simpson's trial has received renewed interest in recent years, being the topic of a slew of documentaries and the award-winning show The People v. O.J. Simpson: American Crime Story. In 2007, Simpson was arrested and convicted of armed robbery in Las Vegas. He was sentenced to 33 years in prison but will be eligible for parole later this year.